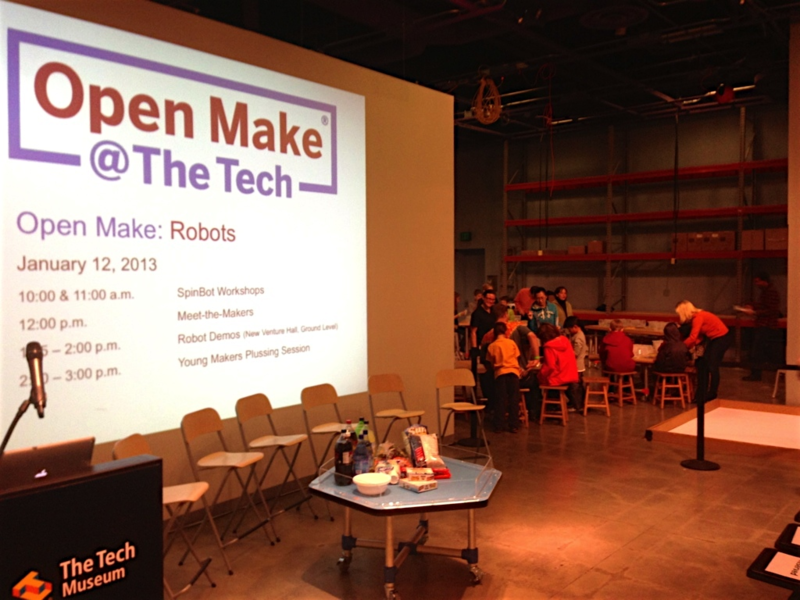 On Saturday, January 11, Maker Ed Program Director Lisa Regalla, Maker Ed Founder and Chair of the Advisory Board Dale Dougherty, and I had the great privilege of attending Open Make at The Tech Museum of Innovation, held in their brand new space, The Tech Studio. For this Open Make, the sessions and workshops centered around the theme of robotics. 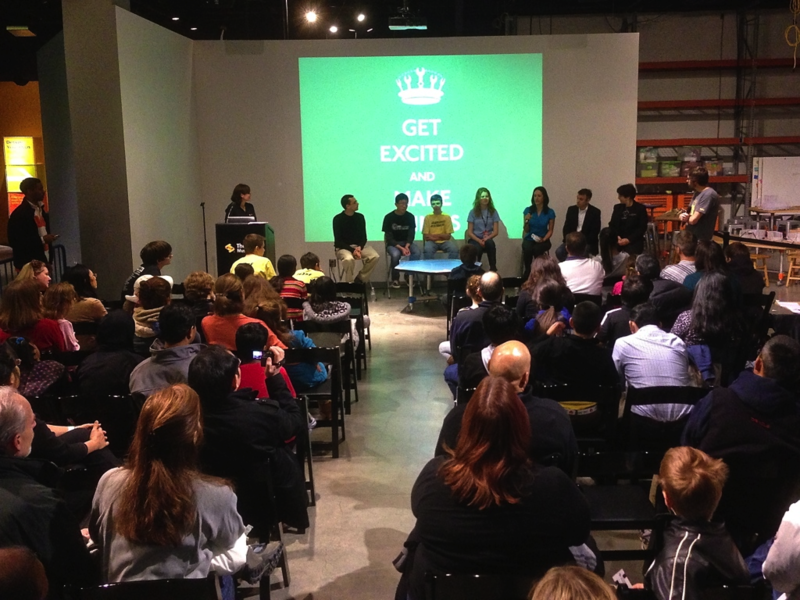 Also featured was an informational meeting and a “Plussing Session” for Young Makers, a Maker Ed program connecting young people in the Bay Area (typically ages 12-17) with adult mentors and fabricators to create opportunities for kids to dream up and develop projects for exhibition at Maker Faires. A collaboration between The Tech Museum of Innovation, Make Magazine, and Pixar Animation Studios, Open Make is a monthly program highlighting the tools, techniques, and ingenuity of local Makers. 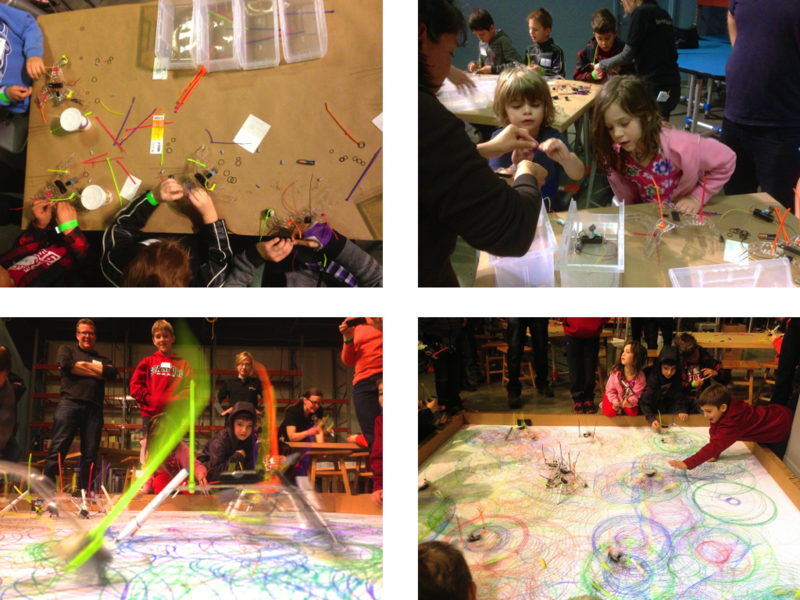 Young Makers get together monthly to share their innovations for Maker Faire. Plussing Sessions allow project teams to get feedback on their in-progress projects from other participants. They also provide teams practice talking about their projects, the challenges they are facing, and how they intend to overcome them. The day began with two consecutive Maker Workshops, where visitors built SpinBots under the direction of staff from the Tech Museum and Artbot Toys. Event Master of Ceremonies Rick Schertle, frequent MAKE magazine contributor and Young Makers South Bay team member, introduces the events, which were also the inaugural events for the Tech Studio. Families and young makers building SpinBots together. The workshops were followed by Meet-the-Makers, featuring a fantastic mix of makers of all ages presenting their work in the field of robotics. 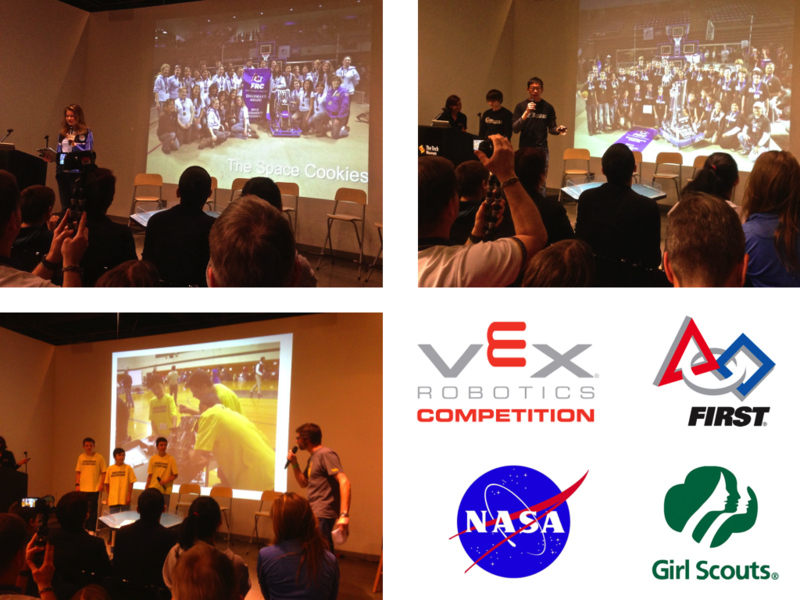 On the youth maker front, several FIRST Robotics teams presented, as well as a younger Vex Robotics Competition team. One FIRST team, the “Space Cookies,” is working in partnership with the Girl Scouts and the Nasa Ames Research Center. For all of the teams, It was easy to imagine any of these talented young makers feeding our future needs for engineers, scientists and innovators. More information about each team and the participating Young Makers can be found here. The Young Makers were followed by makers working with kids and robotics, and makers from the robotics industry. Makers in robotics education and industry. 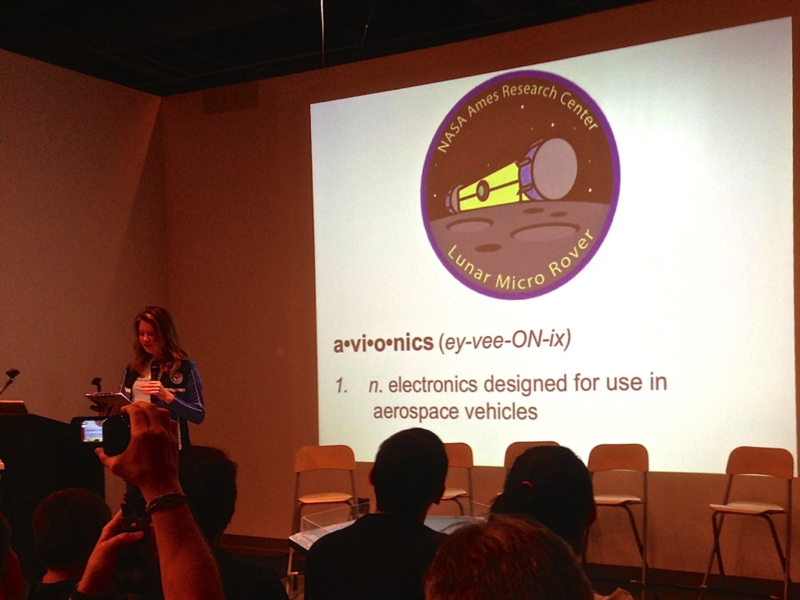 Sharon Marzouk from Willow Garage’s PR2 Program at the Tech. Profiles of all presenting makers can be found here. Meet-the-Makers Q&A Session. It was appropriate that the last slide of from the presenters stayed up for the session- Get excited and Make Something! 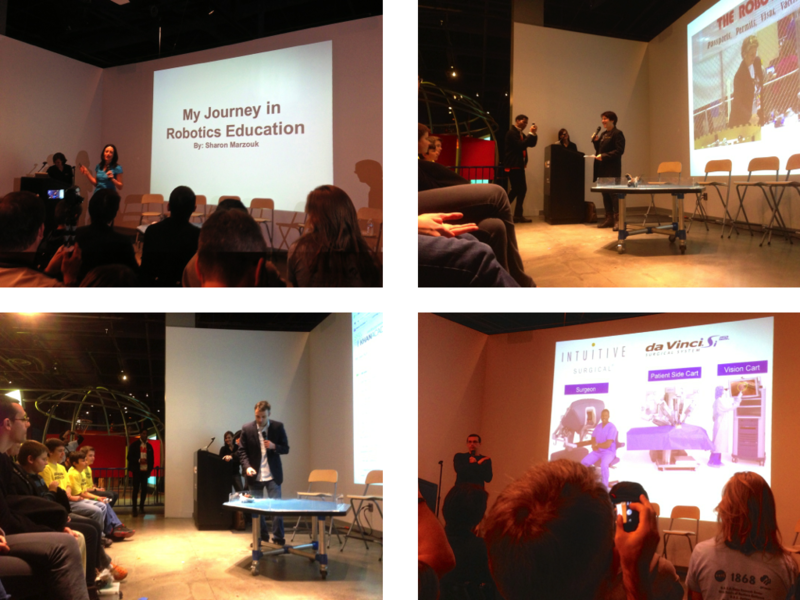 Following the Meet-the-Makers session, presenters held robot demos for event participants and Tech Museum visitors. Robot demonstrations, and a great chance to meet the makers in person. The day was capped off by the Young Makers informational and plussing session, which was well attended by current Young Makers and interested families. 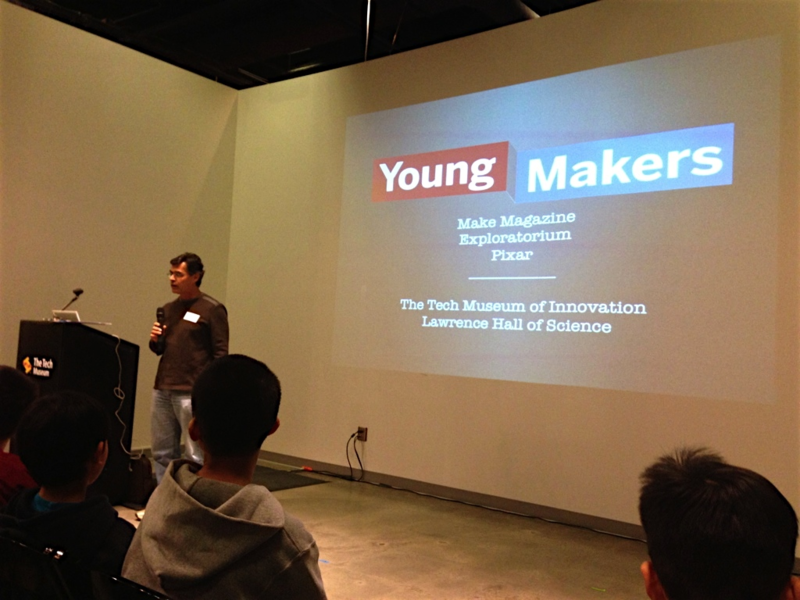 Tony DeRose, one of the founders of Young Makers, leading the information and Plussing Session. 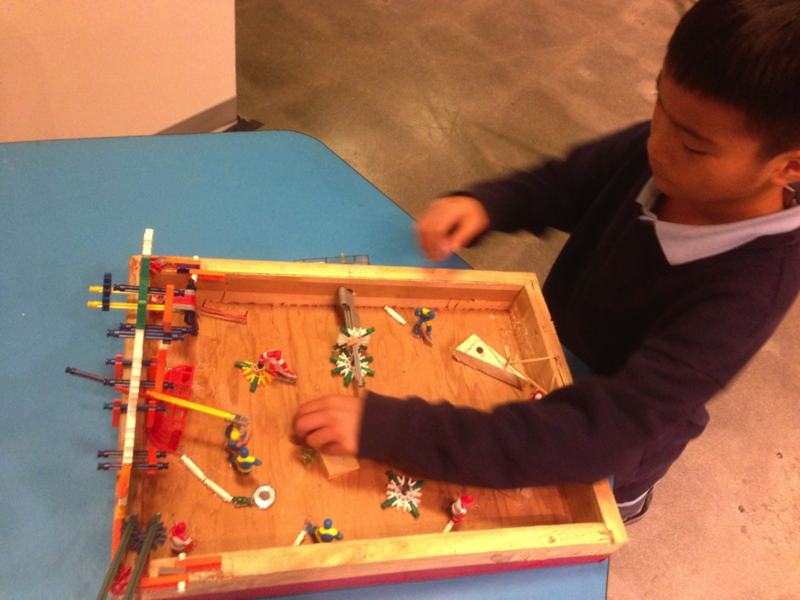 During the Plussing Session, a Young Maker from “Team Killer Whales” shares his “Compact Pinball Machine,” which was featured at the 2012 Bay Area Maker Faire. Dale Dougherty and Devon McGuire from MAKE were also on hand to promote Maker Faire and answer questions about all things MAKE. 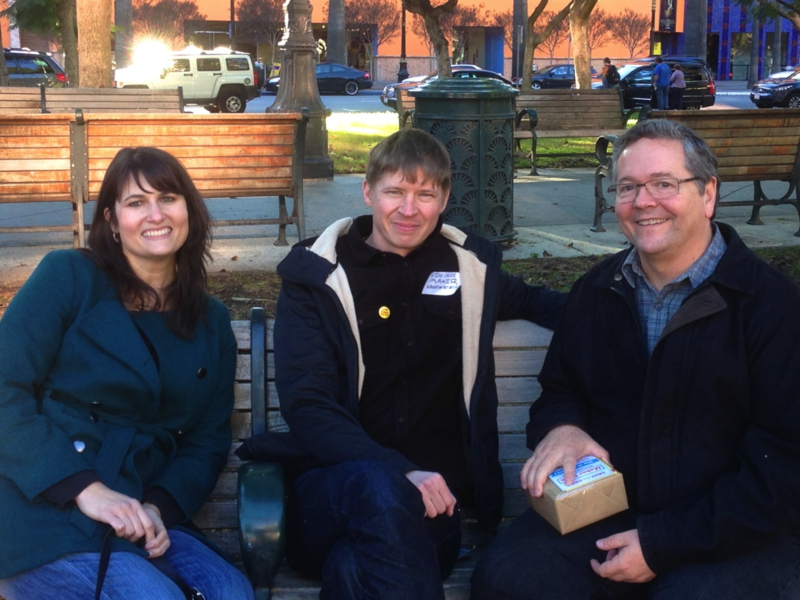 Maker Ed team representatives Lisa Regalla, Steve Davee, and Dale Dougherty outside the Tech Museum in San Jose. I’d like to personally thank, and thank on behalf of the Maker Ed team, all of the participating makers, and the staff of The Tech Museum of Innovation, for being such fantastic hosts. We were incredibly energized and inspired by our visit! Much of the event was recorded on video, and will be available soon on the Tech Museum Site. 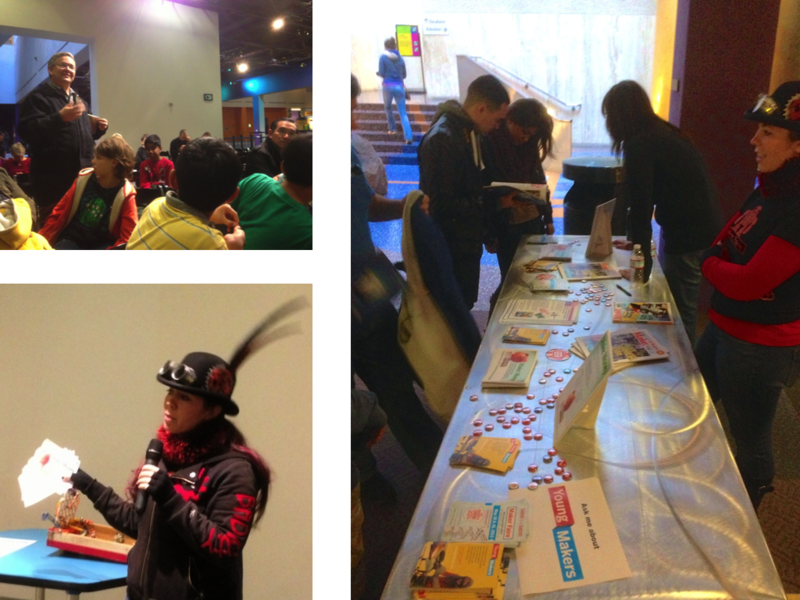 The next Open Make event at The Tech Museum is February 6, featuring the theme of flight. The next Open Make and Young Makers event is this Saturday, January 26, at The Bay School in San Francisco, starting at 10:00 am. 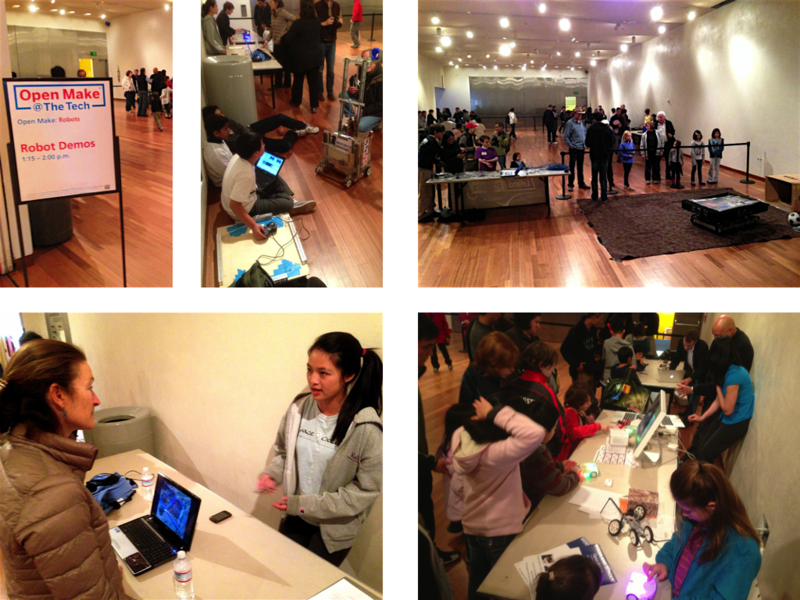 For an overview of all Bay Area programs, and registration, visit the Young Makers 2013 registration page.